BOOK YOUR TROPHY TRIP NOW!!! THE 2019 SPRING BITE IS HERE!!! THERE ARE STILL SOME REMAINING DATES FOR APRIL AND MAY CALL NOW AND BOOK IT UP!!! Welcome to pork chop express charters. 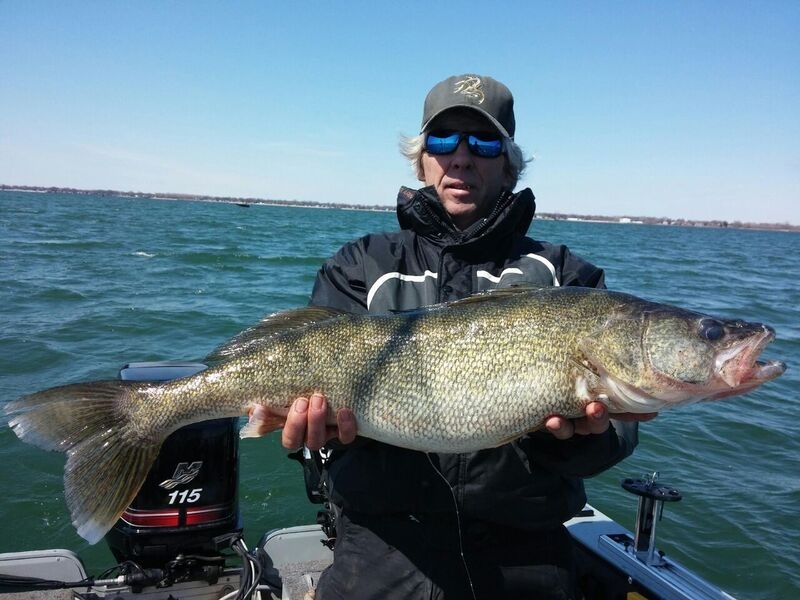 We are a great lakes charter service where Captain Sam Downing (Pork Chop) provides customers fishing trips on Lake Erie in Ohio, where you can catch personal best, trophy size walleye or limits of great eater size fish. Captain Sam primarily covers water from Port Clinton to Huron Ohio. We provide everything needed for fishing from bait to fish filleting. we can run jigging trips or trolling trips or combine both techniques. From complete novices to experienced pro’s and the kids we will have a great day fishing on the lake in search of some Lake Erie Gold. We spend most of our time fishing on Lake Erie in the western basin around the islands better known as “the walleye capital of the world” this area is known for big fish and as the best area to fish on the entire lake. Captain Sam will cater the charter to the experience level of the group.